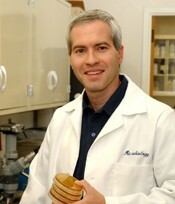 Dr. Paul J. Ezzo, graduated dental school in 1993 from Baylor College of Dentistry. After dental school, he spent 6 years at the University of Texas Health Science Center in San Antonio completing a periodontics residency and Ph.D. in microbiology finishing in 1999. Dr. Ezzo has been in practice for 17 years and is a part-time faculty member at Baylor College of Dentistry in the graduate periodontics clinic.